To respond to customers’ new buying behaviors, brands must rethink their eCommerce engagement strategy. Increasingly, successful brands are adopting a marketplace strategy as a new way to interact and engage with customers. By offering a broad assortment of products and services through an owned marketplace, and/or pushing their products out to existing marketplaces, companies find that a marketplace strategy can bring incremental revenues representing 8% to 20% of online sales after just 1 year. 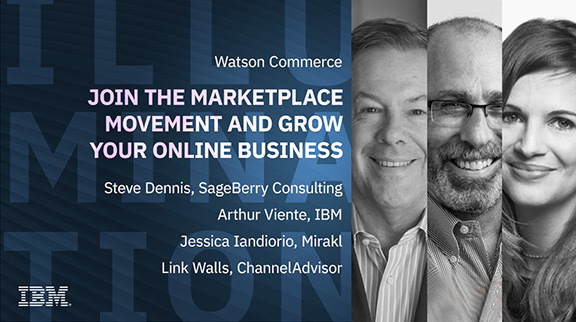 Join digital commerce and marketplace experts from Mirakl, ChannelAdvisor and IBM to learn how you can easily improve the customer experience, grow revenues and provide more opportunities for omni-channel customer interaction.